Playr was made solely to focus on your video viewing experience. It's not crammed with extra features for organizing files or to make playlists and such. You don't need to install any extras or plug-ins to view your favorite movies, it just works. Playr has been carefully developed using the latest available technologies with a meticulous attention to details. It's user interface is clean, stylish and simple to use. I hope you'll enjoy it! Playr is really easy to use. 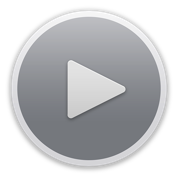 Drag and drop a movie file on the Playr icon and off you go. Almost any video file format you can imagine will play straight out of the box, without any system extensions or plug-ins. For example .mp4, .m4v, .mov, .mkv, .avi, .wmv, .divx, .xvid, .flv, .mpg, .ts and many, many more. Use the built-in subtitle search feature to find subtitles online. It’s so easy it’s ridiculous. Playr will analyze the movie and search for the best matching subtitles for the languages you specified in Preferences. Then you just need to click Download and the subtitles are added instantly and you can start watching. If there are embedded subtitles in the movie they will be available for you as well. You can change the way your subtitles look in almost any way. 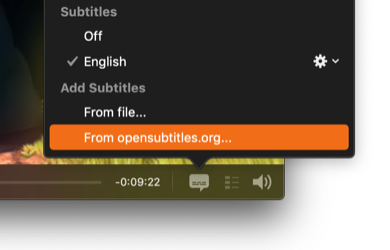 And you can of course reuse a subtitle style for any movie once you created it in Preferences. You can change the Font, Size, Alignment, Text Color, Background Color, Corner radius of the background plate and the shadow’s opacity, blur and offset. Enough? Playr is great app with one feature standing it aside from competition - it can automatically search the internet for subtitles in any language and this process is very asy and simple. Really like it! Doesn’t depend on QuickTime or any other system extension or plug-in. It just works. Supports almost any video format you can imagine. 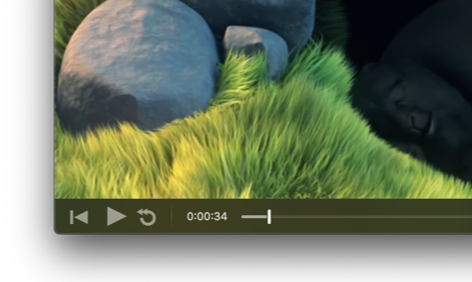 Find subtitles online with Playr’s built-in subtitle search feature. It’s easy, accurate and fast. Playr automatically fetches information about your movie. If you want to localize Playr in your language please send a mail to [email protected]. You only need a text editor!